Christie has been working with authors and literary event hosts for more than 10 years. With an MFA in creative writing, she’s a passionate advocate for the arts, and loves nothing more than championing writers and their work. Before founding A|U, Christie did her graduate work in Scotland and Alaska, and currently spends her free time driving around her son, 10 year old Gus. 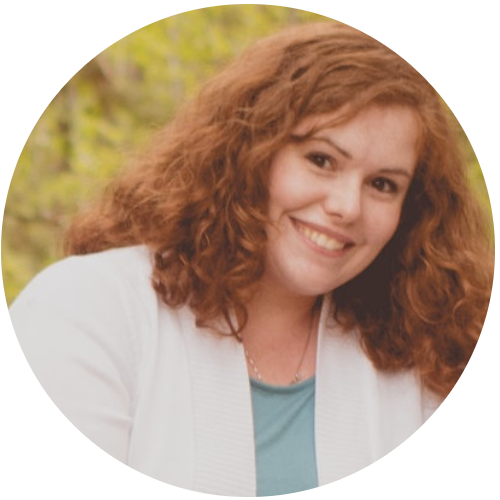 Dani comes to A|U with a broad background in consulting for nonprofits in philanthropy and arts and culture. With degrees in resource management, she’s a stickler for the details! Originally from New England, Dani has lived in Bend for 20 years, and loves to downhill ski, hike, and mountain bike with her husband and two kids, and has been an active volunteer for local water and trails initiatives. Haley joins the A|U team with an eagerness to connect authors and communities together for memorable events. She adds a special sparkle with over 15 years of experience in customer service, administrative management and a life-long love of literature. In her free time, you will find Haley with her family enjoying the outdoors — camping, hiking or riding around in their Jeep. Andy spent his early career in Los Angeles, as an actor and production professional. Turning his sights toward marketing, design and performance consulting, Andy lends his talents in creating vibrant and impactful website content, publicity assets, and performance design. Originally from Oregon, Andy currently lives in LA with his husband and their furry kids, Griffin and Ivan. Authors Unbound is a full-service author event agency dedicated to creating powerful literary experiences for authors and hosts alike. We understand how difficult it can be to navigate the terrain of identifying a possible speaker, arranging the invitation, creating rewarding programming, and all the details in between. With over ten years of experience in coordinating literary events - particularly Common Read programs and signature author series - we serve as thoughtful and responsive advocates for both authors and their audiences. Community Reads Programs - commonly known as One City One Book - take the idea of a localized book discussion club and expand it to cover a whole city. The first such program was "If All of Seattle Read the Same Book" in 1998, started by Nancy Pearl at Seattle Public Library's Washington Center for the Book. Each city's program has its own goals; these typically include building a sense of community and promoting literacy. Programs usually involve more than having everyone read the same book. Some other activities that have been included are: book discussion sessions, scholarly lectures on the book or related topics, a visit by the author, exhibits, film screening, related arts programming, and integration into school curricula. Books assigned for First Year Experience (FYE) and campus-wide reading programs are increasingly popular. They pull students and teachers together and build student skills in critical thinking. Campus-wide books build community on campus by allowing students and teachers to share their own experiences. Their goal is to spark intellectual exchange and bring their campus citizens together. Many libraries have seen such success with their Community Reads programs, they've extended author visits to signature Author and Lecture Series, which brings in authors multiple times a year. Universities also host similar lecture series.